When I was in London we visited the making of Harry Potter studio tour. I have been wanting to go there for such a long time and finally I got to! Of course I had to make some Harry Potter nails and I have to say that they were a success. I got many comments on them which was really fun. With my 9¾ nails at 9¾, couldn’t get much better right? And you can also see my thumb in this shot, win! Here I am at platform 9¾ on my way to the Hogwarts express. Bye bye muggles! Any Harry Potter fan can probably figure out what was my inspiration for these nails. 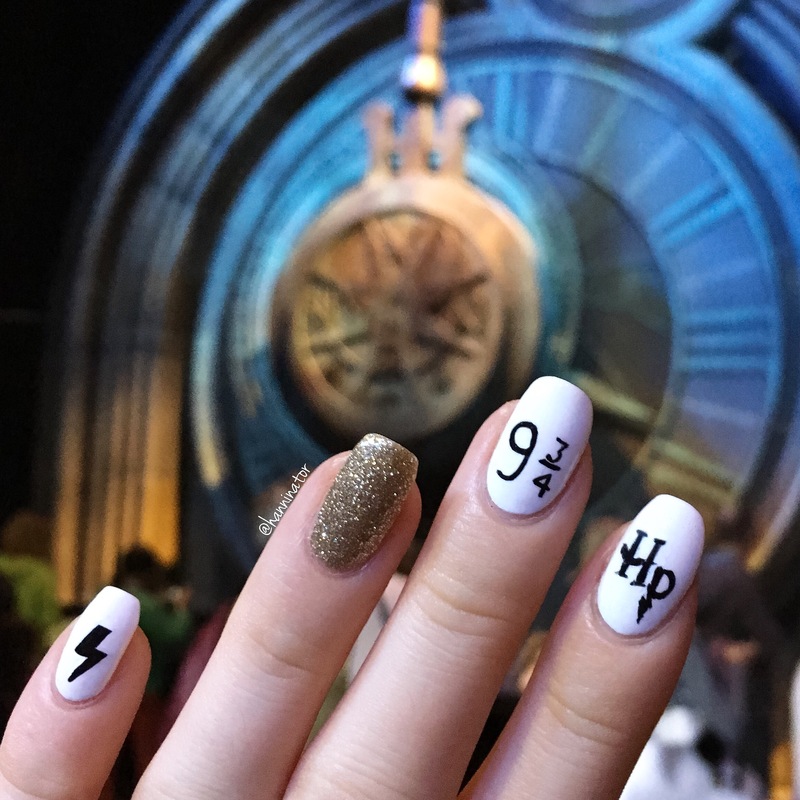 From left: Harry’s lightning bolt scar, the golden snitch, platform 9¾, HP logo and the Deathly Hallows symbol. The white base is Alpine snow and the black details are made with Lady in Black. The golden polish is My favorite ornament and they’re all OPI’s. 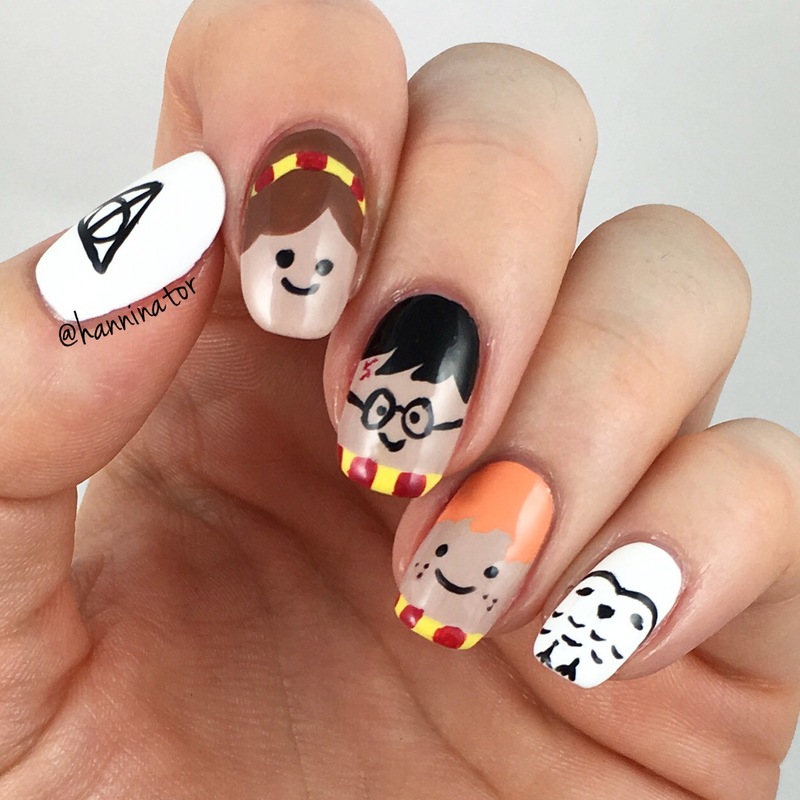 As a bonus I’m throwing in these cute Harry Potter nails I made earlier this year.